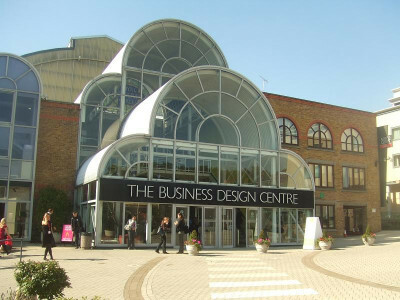 Skills Matter is pleased to support droidcon London 2010, this year taking place in Islington's Business Design Centre, the new permanent home for droidcon UK. The event is organised by the London Android Community leads Kevin McDonaugh and Karl Gustav Harroch, and is scheduled for October 28 and 29th. Crafting a great user experience and user interface is fundamental. In this talk, Roman Nurik discussed interaction and visual design tips, as well as relevant SDK resources. In this session we delve into the reasons why trusted customer relationships and networks are key to market and deliver applications, and why a 'one size fits all' approach can't work. In this talk Ilicco Elia highlighted the areas in which Android leads the pack, and the areas that it still has ground to make up. Qualcomm has a huge footprint in multiple classes of mobile devices today; and Qualcomm’s Snapdragon™ family of mobile processors powers many of the top performance Smartphone’s and smart devices in the marketplace. In this session Erik Hellman presented how Sony Ericsson implements Android on the phone, from the beginning of a project until it is released. This talk shoed how developing for Marketplace is perhaps the least interesting way to develop for Android. Michael showed the other, more interesting and more lucrative business models, why these are often unique to Android. Using comScore mobile market intelligence data we will explore the mobile service and applications space in terms of the consumers, the brands they access and how they engage through their handsets. For most women, the iPhone is still the preferred device despite the fact it is not the most technically capable smartphone on the market. How to Monetize Your Android Applications in Emerging Markets (China, India, Indonesia and others). Chaired by Ewan MacLeod, this session featured the founders of successful UK mobile development companies talking candidly about the industry and how to succeed. Tom & Antony kicked off this double session with presentations on lessons learned whilst winning business for mobile design and development. Qualcomm has a huge footprint in multiple classes of mobile devices today; and Qualcomm’s Snapdragon family of mobile processors powers many of the top performance Smartphone’s and smart devices in the marketplace.